What is the Universal Capturing Client? The Universal Capturing Client is a revolutionary software product that simplifies scanner management in an era of truly large-scale digitisation. We have collaborated intensely with the major manufacturers of scanner hardware to provide you with a standardised interface that can be used to centrally manage the most widely used scanners. Use different devices without having to think about it! 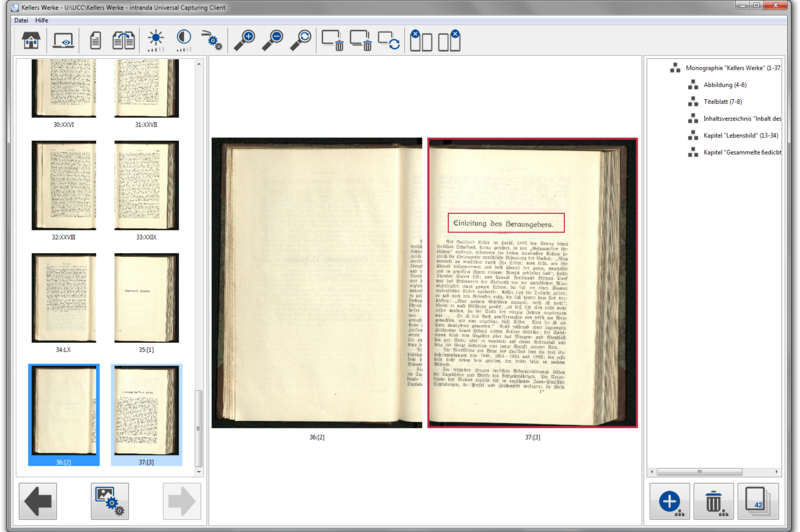 In this age of mass digitisation, it is important to be able to use different scanning hardware whenever required. In actual practice, very few institutions work with just a single manufacturer. Operating such a diverse range of machines places great demands on scanning personnel in terms of flexibility. The Universal Capturing Client makes this task a lot easier. A universal interface is all that is needed to control machines made by different manufacturers and at the same time generate additional structural value from the digitised material. 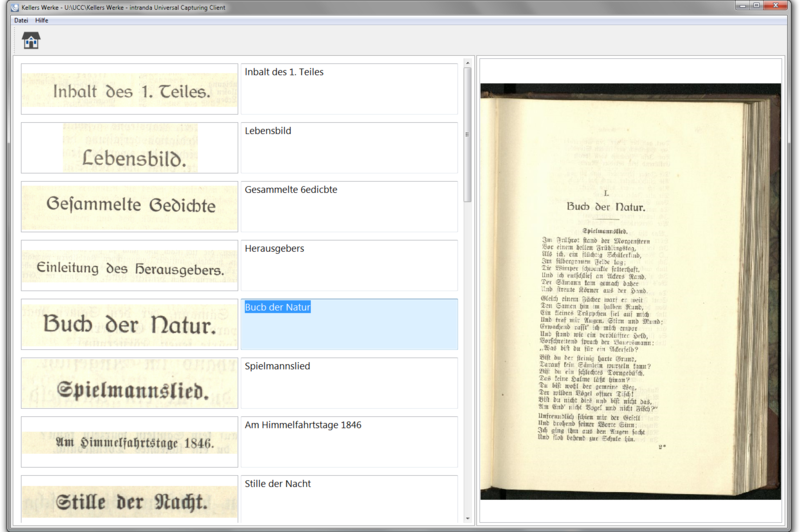 While you are performing a page by page scan of your source material, which in most cases is very sensitive and valuable, it is well worth using the opportunity to capture the corresponding structural data to produce valid METS files that will allow you to create instant PDF files with an index of contents or to place the data online via a link. 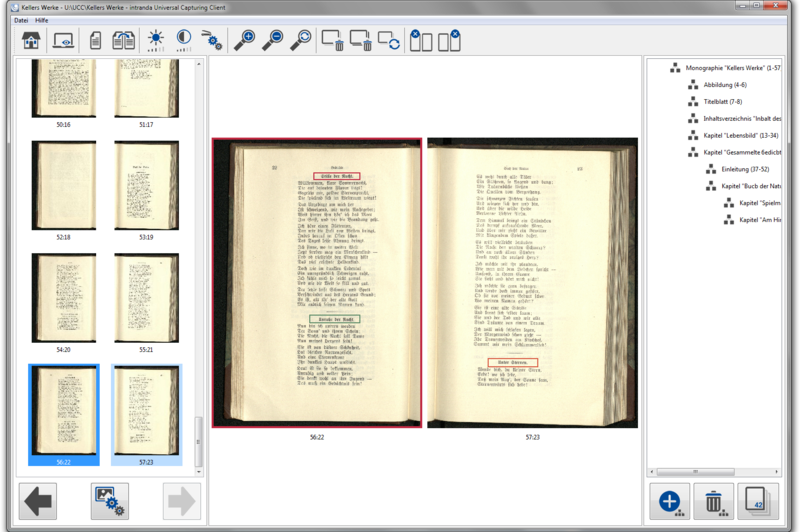 Thanks to the Universal Capturing Client, you can use the time it takes the scanner to generate an image as a chance to capture both structural and pagination data. The Universal Capturing Client features a touchscreen function for intuitive scanner operation. It interacts directly with your Goobi workflow software and processes all data with great accuracy to ensure that it meets international standards. It can also be operated without Goobi, thus allowing individual work stations to carry out a number of tasks in an efficient manner. Many companies and organisations have a high turnover of scan operators. This means having to frequently train in new staff. Employees are constantly working with very different and very complex software due to the generally heterogeneous nature of digitisation equipment pools. 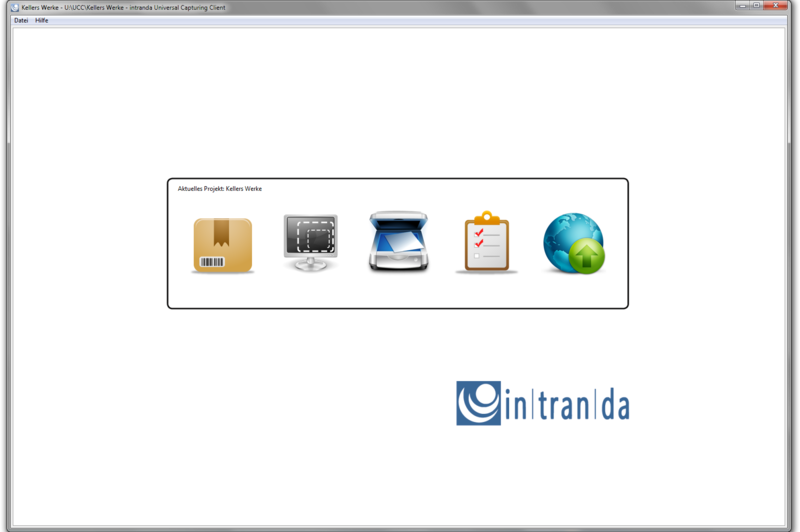 The UCC offers an alternative: a single interface for different devices. 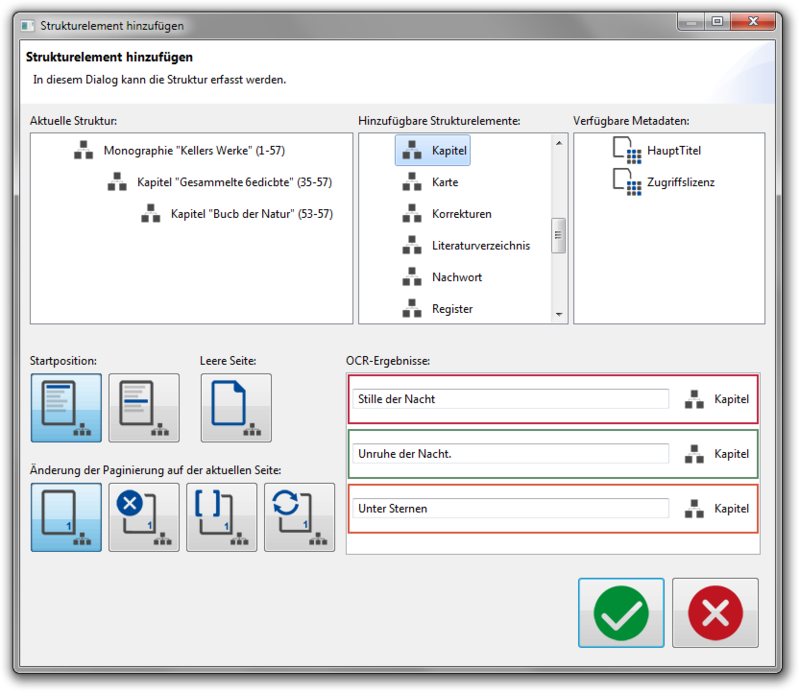 A touchscreen displays only the scan functions that are really relevant for large-scale digitisation – no more complicated shortcuts or unnecessary dialogue boxes for complex settings. New employees do not need any training and can be productive with all types of scan hardware from day one. Regardless of how you want to use the UCC, as the project manager you determine the rules. You, and only you, decide how your material is to be digitised. Your staff no longer have to worry about which settings must be used in which software. If you use the UCC as the expansion module for Goobi, for example (the popular open source software used for workflows in digitisation projects), all settings such as colour depth, resolution, file format, name, location, etc., are specified automatically through Goobi. Unnecessary and error-prone configurations are a thing of the past. 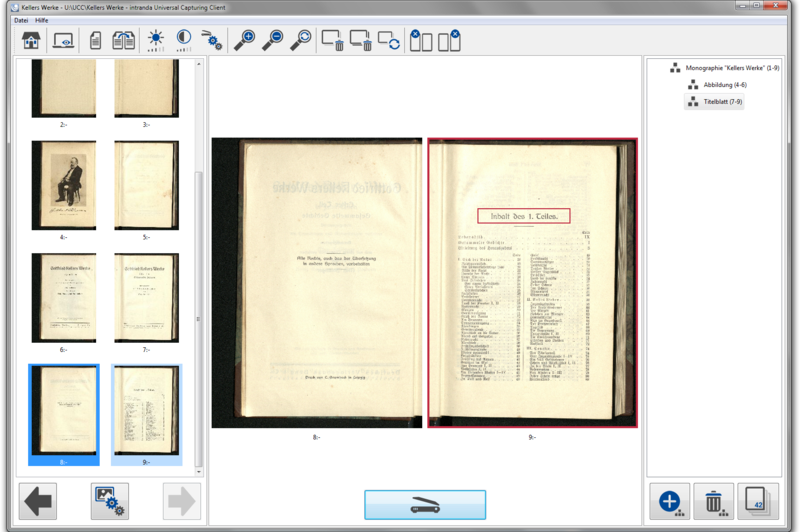 You can also forget about costly repeat scans to correct any mistakes that are made during the digitisation process.